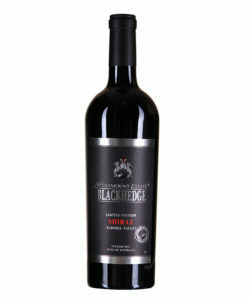 The wine displays dark blackberry fruits on the nose, with liquorice and aniseed lingering in the foreground. This wine would be perfectly matched to a beef and black bean sauce dish or would match a char grilled steak on a potato rosti with a rich reduced red wine sauce. 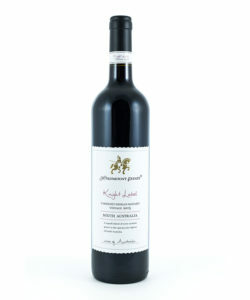 The wine is sourced from vineyards in Mildura, Wentworth and Swan Hill along the Murray River. 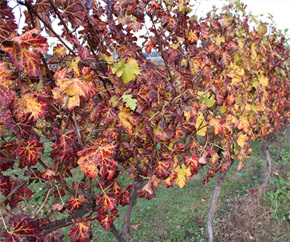 We only source the finest grapes for our wine and select only vineyards planted on the red “Terra Rossa” soils. This produces wines with immense varietal and regional typicality. Lifted floral notes of white jasmine, pink musk, lychee and guava fruits encapsulate the aroma. The palate is rich and textural. 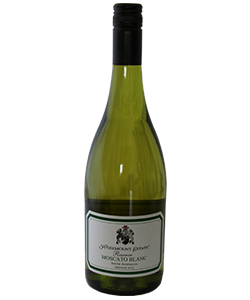 Lovely luscious sweetness surrounds the palate while a soft acidity provides buoyancy and lift. This a a fruit dominant wine. The Reserve Shiraz is sourced from premium South Eastern Australian vineyards hand selected to showcase the best grapes from a multitude of regions. 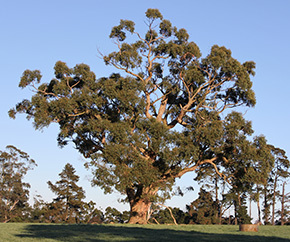 The wine is sourced from vineyards along the Murray River. The tannin structure of the wine would also compliment any red meat with some spice to it. 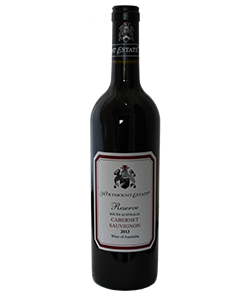 The Reserve Cabernet Sauvignon is sourced from premium South Australian vineyards hand selected to showcase the best grapes from a multitude of regions. A full-bodied red wine with dark fruit flavours and savory tastes from black pepper to bell pepper. The aroma is predominantly blackcurrant and peppery, but variations include touches of redcurrant, plum or even blackberry and sometimes hints of mint. The Reserve Grenache is sourced from premium South Australian vineyards hand selected to showcase the best grapes from a multitude of regions. 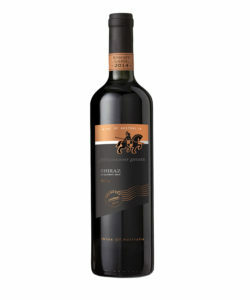 A red wine with medium to full weight which has flavours of candied fruit roll-up and cinnamon. 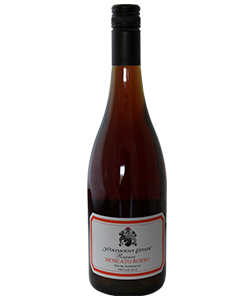 Although it has a deceptively lighter colour and is semi-translucent, this wine lets off strong aromas of orange rinds and ruby red grapefruit. When grown in Old World regions, it can have herbal notes of dried oregano and tobacco. 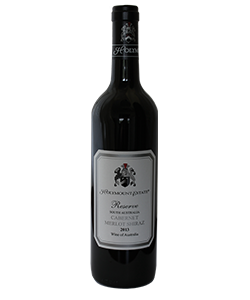 The Reserve Cabernet Merlot shiraz is sourced from premium South Australian vineyards hand selected to showcase the best grapes from a multitude of regions. 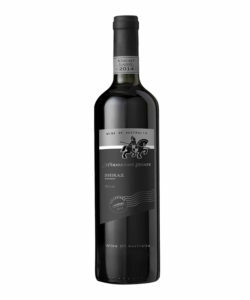 A vibrant red wine with flavours of blackcurrant, mulberry and dried bay leaf are infused with hints of mint, black olive and cedary oak. Soft and supple, this wine has fine tannins and a lingering finish. The Reserve Moscato Blanc is sourced from premium South Australian vineyards hand selected to showcase the best grapes from a multitude of regions. This is a lightly carbonated white wine with an aromatic and fruity character. The light spritz and balance of acid and sweetness makes this an enjoyable wine for any occasion. It is recommended to chill before serving. The Reserve Moscato Rosso is sourced from premium South Australian vineyards hand selected to showcase the best grapes from a multitude of regions. This is a lightly carbonated red wine with an aromatic and fruity character. The light spritz and balance of acid and sweetness makes this an enjoyable wine for any occasion. 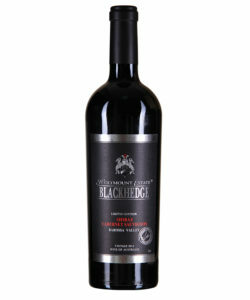 The Blackhedge Shiraz is sourced from a premium single vineyard in the heart of the Barossa Valley. This wine displays an intense and rich nose of blackberry and hints of earthy tones with subtle black tar in the background. The palate is rich and intense in dark brooding fruits. Black spice and densely packed fruit linger in amongst a strong and fine tannin line. 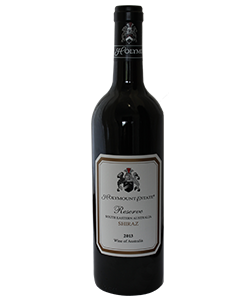 A magnificent blend of shiraz and cabernet sauvignon grapes grown in the very best region. The robust nature of cabernet sauvignon grapes gives structure and body to the wine while the opulent shiraz fruit provide suppleness and intensity. 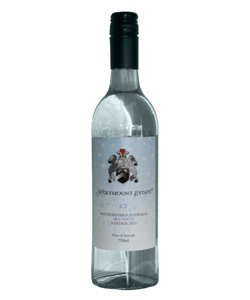 The Holymount ‘Ice’ Label Dry White is sourced from premium South Eastern Australian vineyards hand selected to showcase the best grapes from a multitude of regions. 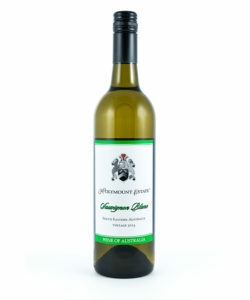 A bright and vibrant wine, lifted melon fruits with hints of citrus and spice on the aroma. A perfect carryover of aromas to the palate with melon fruits dominating. Subtle oak underlying the fruit and a fine soft acid line provides length. 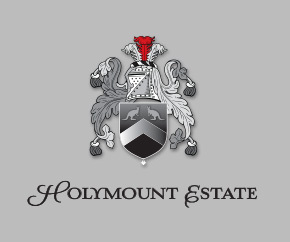 The Holymount ‘Rose’ Label Chardonnay is sourced from a premium single vineyard in South Australia.The wine is lifted in melon fruits and citrus overtones. There is a subtle vanillin oak protruding. The palate is lifted and fresh with lemon lime and sherbet. 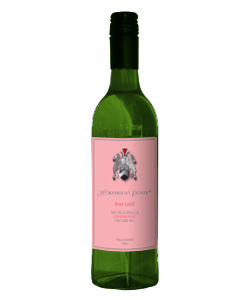 Fine acidity and rich textured fruit give this wine fruit punch and lift. 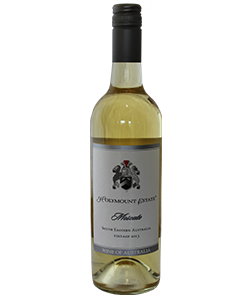 This Sauvignon Blanc wine is a easy drinking wine which displays fantastic floral aromas accompanied with stone fruit and melon flavours on the palate. 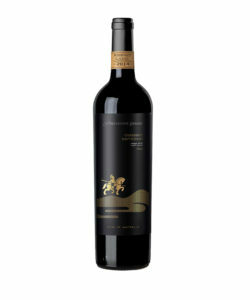 The ripe fruit characteristics of this wine suit it being drunk with meals such as seafood or other spicy dishes.. 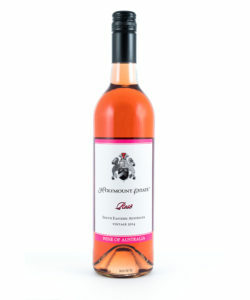 The ‘Rose’ has a bright attractive pale pink colour with raspberry and cream aromas. The palate is soft and round with a clean and crisp finish. A pleasant wine to drink when slightly chilled. This wine has been crafted with the finest grapes from our specially selected vineyards in Clare Valley. 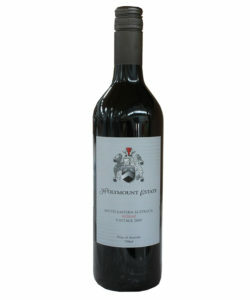 A full bodied wine with dark fruit flavours and savoury tastes of black pepper. The aroma is predominately blackcurrant and peppery with touches of plum and mint. This wine has been crafter with the finest grapes from our specially selected vineyards in Victoria which have been planted on the red ‘Terra Rossa’ soils. This produces wines with immense varietal and regional typicality. 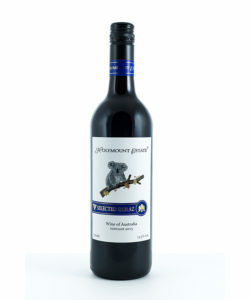 Bright fruit flavours of blueberries, blackcurrants and black cherries are characteristics of this modern shiraz wine. Secondary flavours of milk or dark chocolate lend themselves well to this full bodied texture wine, often accented by pepper and spicy inflections. This wine is made of grapes grown on the iconic Clare Valley of South Australia. The cool winter months are ideal to enhance the grape vines bud set formations, and the warm summer provides the grapes with the best ripening environment, resulting in a high quality vine. Aged in oak barrels for up to 18 months ensures exceptional quality and wine longevity. This wine crafted from grapes grown in Clare Valley is a fantastic example of the high quality wines produced by Holymount Estate. Aged in barrels for up to 18 months ensures exceptional quality and wine longevity. 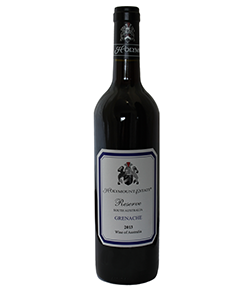 A full bodied wine with dark fruit flavours and aromas of blackcurrant and pepper. 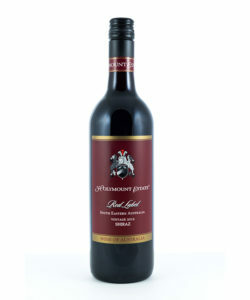 This wine displays bright fruit flavours of blueberries, blackcurrants and black cherries which are typical characteristics of a modern shiraz wine. Secondary flavours fo milk and dark chocolate lend themselves well to this full bodied texture wine, often accented by pepper and spicy inflections. 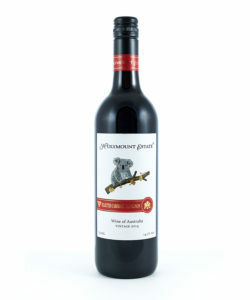 The ‘Koala Label’ Cabernet Sauvignon wine is a full bodied red wine with dark fruit flavours and savoury tastes from blade pepper to bell pepper. The aroma is predominately blackcurrant and peppery but variations include touches of redcurrant, plum or even blackberry, and sometimes a hint of mint.